The Traffic Monopoly Scam Review – Is it a Scam or Legit? The Traffic Monopoly was launched by Mo Latif back in April 2015. Traffic is the life blood of online business and without this your business will not return you on your investment. There are various old traffic generating techniques using SEO, Facebook, YouTube etc. that people are using for their site. Traffic Monopoly has taken the same initiative for people to guide about how to drive traffic to your site but with different strategy. 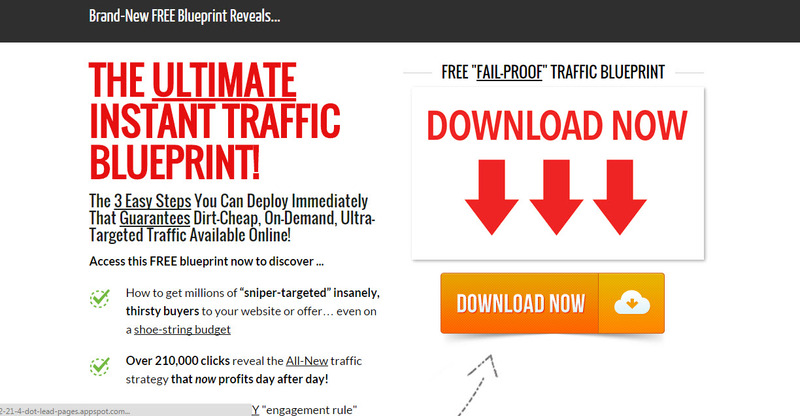 Traffic Monopoly is about receiving targeted traffic and sales through solo ads. How The Traffic Monopoly System Works? Mo Latif claims of using a unique way of using solo ads for promoting his business. This strategy is also based on paid advertising but this is not Facebook or Google ads but through Solo ads. Solo ads strategy is one of better strategy to generate leads and build subscribers list. Solo ads is basically access to other internet marketer subscribers list. These are highly targeted traffic because they have spent money on the internet marketing products. Their conversion is even much higher than the organic search traffic but it takes time to find quality list for solo ads. Good thing about The Traffic Monopoly is that it saves your time to find such list but take you directly to the directory of proven list. Most people sell solo ads with minimum number of clicks and rate is defined based on per click. When you and vendor agrees for above rates then they send out to their list. Click rates are tracked by vendor and you are billed appropriately. Solo ads is not a new method but this is around for some time now. You can see Latif vendor’s directory that are of more than 10 pages in length and are updated regularly. Core training on solo ads and fast start guide. Awesome traffic deal closing scripts. Tested email campaign that can go live instantly. High converting landing pages that are ready to use. How to track your campaign and conversion in order to increase precision. Instant access to TOP traffic sources that help us to earn long term huge profit. You can access to very good training and tools related to solo ads. Solo ads traffic are very targeted which can increase conversions. Approach is cost effective because you are paying for number of clicks and not on impressions. Solo ads list are well established. Very reasonable cost to access The Traffic Monopoly and it is one time. This method can work on different niches and you can promote lot of products to subscribers. Very user friendly training and member’s area and you can easily understand training without any prior training. If you are not using the right strategy then this cost can add up as it is not necessary that someone is click on the ad and then buy product. Sending daily offers to people don’t work well because they see it a regular event. Message should aye catching and well attractive so that it appeals to the people. The Traffic Monopoly also uses its homepage a secret traffic source, while this not secret and it has been around for years. Lot of up-sells in the system and it is better to avoid them. In home page you can see that The Traffic Monopoly can be just a one off investment of $29.95 but actually this is not the case and you will have to pay for 2 other up-sells in order to access the system fully. Preferred Vendors is the first upsells offered by The Traffic Monopoly and it will cost you for $97. In return for this price you will receive list of Solo Ad buyer names from the The Traffic Monopoly. These are people who have a large list of subscribers in different niches from whom you buy solo ads. If you don’t want to pay for this upsell then simply Google and search on the internet, there you find different people that fulfill your purpose. In order to buy second upsell you need to pay $67 monthly subscription fee and your solo ads are handled by The Traffic Monopoly. You don’t need to find and deal with the owner of mailing list, it will be done by The Traffic Monopoly staff. In short, The Traffic Monopoly is a good product to learn about solo ads and it guides in a very simple and efficient manner, even a person with no experience can understand this easily. Price is reasonable and with few bonuses can worth your investment and avoid upsells because you can find mailing list owner from the internet and also manage your solo ads. As an internet marketer we should be familiar with these type of things and it can easily be learned from internet but if you still are lazy then you can also buy upsells. Remember solo ads are a great way to reach the targeted traffic in a hurry and it can also has very high conversion ratio but this can also go wrong if strategy is not good and its cost can add up very quickly. Remember also it is not a cheap method to work on and you should have to spend a considerable amount of money in order to see the results. If you are looking for building online business from start and that is much cheaper than The Traffic Monopoly then see my #1 recommended product. This product has much more than this product.